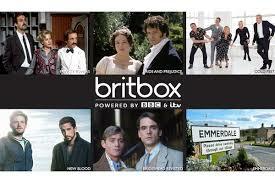 Author Kristine HughesPosted on November 27, 2017 November 18, 2017 Categories Films, Kristine Hughes, Uncategorized2 Comments on BRITBOX TV – IS IT WORTH IT? 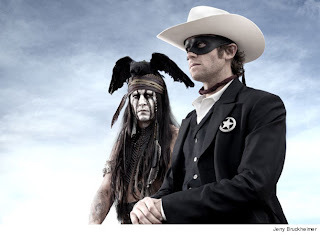 How appropo, as these days anything starring Johnny Depp has typically got to be a tad weird. And directed by Tim Burton, as this film is. 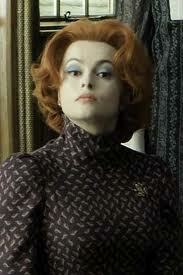 And to co-star Helena Bonham Carter, which this film does. She plays Dr. Julia Hoffman. See below. And to feature Depp in wacky make up. Done. See above. And below, in the first photo of Depp as Tonto in the new Lone Ranger movie. But I digress . 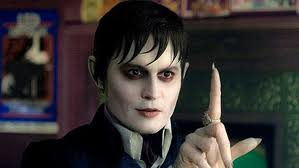 . . . . the new Dark Shadows storyline begins in the 18th century, when Barnabas is turned into a vampire by the brokenhearted witch Angelique (Eva Green) and buried alive. 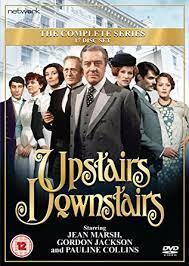 The film then flashes forward two centuries, as Barnabas is freed from his tomb and returns to his home and the dysfunctional relatives who now reside there. “We’re changing it a little bit,” Burton said last fall. “I wouldn’t do it if it felt like it was just doing the same thing. For me, it’s about trying to go back to the original drawings and kind of capture that spirit a little bit more of what the drawings are. It feels different even though it’s a similar story, but we’re kind of expanding it a bit. The film opens in theaters on May 11th, and no doubt the characters will garner themselves a whole new set of fans. If, that is, anyone comes away with a clear understanding of what the film was actually about. So what’s next for Depp, who has never been one to rest long upon his laurels? The big screen version of The Night Stalker, with Depp playing Kolchak, the reporter in the seersucker suit who keeps running into monsters on his beat, originally played by Darren McGavin. 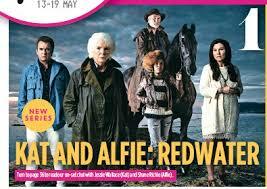 No doubt there’ll be a part for Helena in this one, as well. 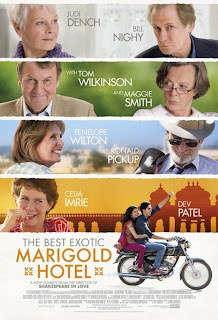 Best Exotic Marigold Hotel, the movie, opens in the UK and Ireland 24 February. Those in the States will have to wait until summer to see the film, although the novel will be available in stores in March. 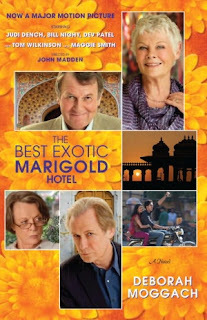 The movie, directed by John Madden, sees a group of retirement age Brits move to India to see out their elderly years in colorful Jaipur and take up residence in what they believe is a newly restored hotel. 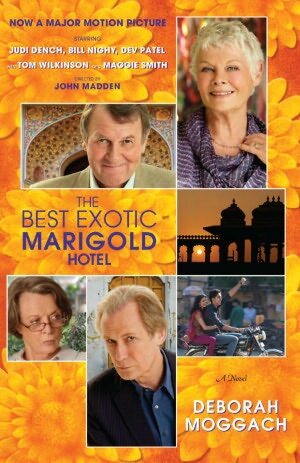 Less luxurious than its advertisements, the Marigold Hotel nevertheless slowly begins to charm in unexpected ways. 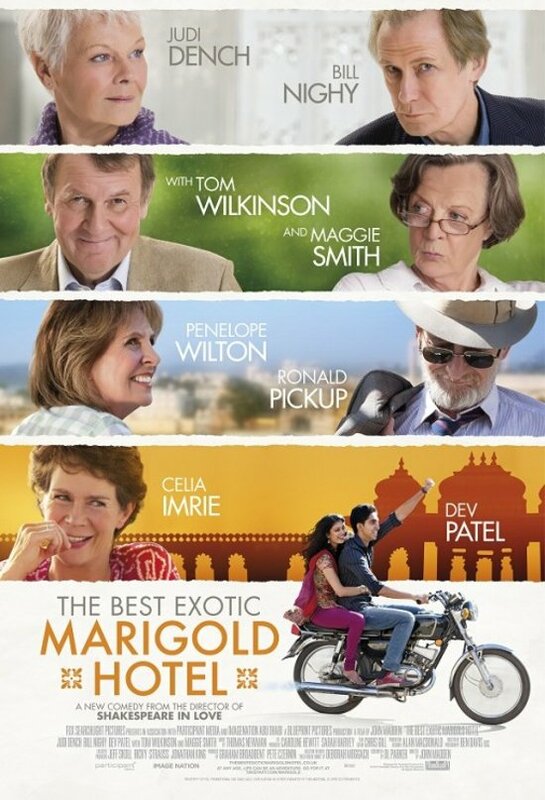 Dev Patel, of “Slumdog Millionaire” fame, plays the guy who entices them to take the adventure and the film also features Dame Judi Dench, Dame Maggie Smith, Penelope Wilton and Bill Nighy. Deborah Moggach is the author of sixteen successful novels, including the bestselling Tulip Fever, and two collections of stories. 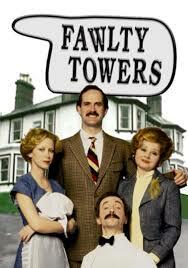 The book on which this film is based was originally titled These Foolish Things. 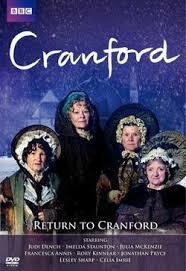 Her screenplays include Pride and Prejudice, which was nominated for a BAFTA. She lives in North London. 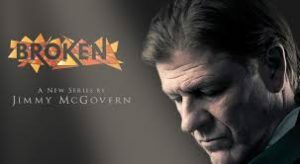 You can watch the movie trailer here. I went to see War Horse in the movies recently and got a few surprises. Firstly, I was under the impression that no one recognizable was in the cast. 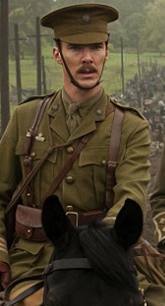 Imagine my surprise when I saw Benedict Cumberbatch on screen as Major Jamie Stewart who, by the way, is the antithesis of the Duke of Wellington as far as military strategy is concerned. 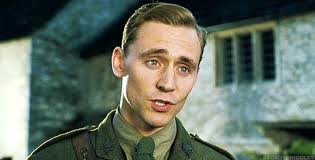 Tom Hiddleston, who first came to my notice in the 2001 version of Nicholas Nickleby, played Captain Nicholls in War Horse. 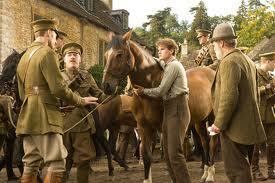 He is the officer who first takes possession of Joey, or the War Horse, when he’s intially sold to the Army. He vows to keep the horse safe and to return him at the end of the war. 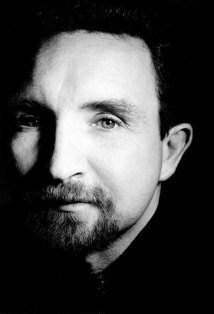 Worth an honourable mention is Eddie Marsan as Sgt. Fry. 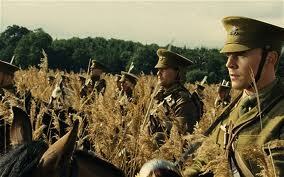 Another surprising thing about War Horse – I found myself crying at odd moments when no one else did. 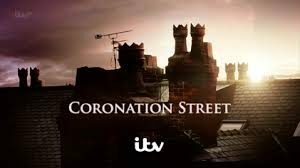 My first tear was shed at the opening when they showed wide shots of the hedgerows and fields of the English countryside. Next, I choked up when I saw the village in the scene where Joey is led away with the Army. It was so iconically English. Turns out that the scene was shot in Water Street, Castle Combe, Wiltshire, below. 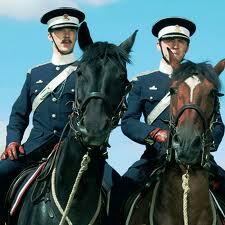 Then there was the scene where Cumberbatch and Hiddleston race for the gold ring during a practice charge. The entire regiment draws their swords and gallops forward, the ground thundering beneath them as thousands of hooves tear up the turf. It was so reminiscent of Waterloo that I couldn’t help tearing up. Not that I was actually at Waterloo, mind you. Well, I was at Waterloo, but not during the battle. Well, okay, I was at Waterloo during a battle, but not during the Battle of Waterloo in 1815. And then Benedict Cumberbatch, as Major Stewart, leads the regiment in their first battle charge in France, telling his men that their initial charge must at all costs be decisive, as it was at Waterloo, et al. And then, they begin their charge in a field of wheat, a la Waterloo. So, there you have the Wellington Connection. 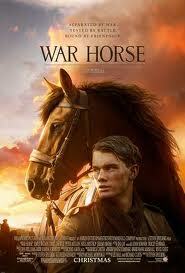 For anything and everything else about War Horse, check Wikipedia here. 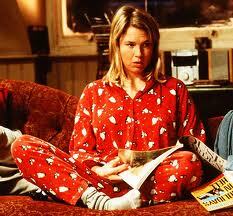 Speaking of Bridget Jones . . . . Happy New Year! We can’t think of anything more fitting than watching this video as we ring in the New Year. If you’ll be spending the New Year with friends, it’ll get you into the party spirit and if you’ll be celebrating alone, it will give you hope – things eventually turned out well for Bridget . . . didn’t they? Watch the video here. Author Kristine HughesPosted on December 31, 2011 Categories Bridget Jones, Kristine Hughes, Uncategorized1 Comment on Speaking of Bridget Jones . . . .